Iiro Rantala and Ulf Wakenius first worked together when they collaborated on the project that became Tears For Esbjörn. But they clearly built a rapport. On this record the duo take an eclectic selection of tunes from the pop and classical repertoires together with a handful of originals and a sole jazz standard and produce lively and exciting music. Their own pieces are named after cities around the world for which they feel an affinity: Vienna, Helsinki, Palma, Seoul, Rome and Berlin, Rantala and Wakenius contributing three compositions each. They are by turns folky and romantic, impassioned and soulful. Wakenius's guitar and Rantala's piano balance each other. The sound is excellent, both instruments sounding clear and precise throughout. The two classical pieces both stem from opera - Carmen (Micarla & Don Jose) by Bizet, and Puccini's Nessun Dorma. Though their themes are familiar, the tunes are just the starting point as the piano and guitar duet explore the themes, sometimes playing the same lines but often weaving in and out of each other. The pop numbers are on the funkier, soulful side. Stevie Wonder's Sir Duke, itself a tribute to Duke Ellington, cracks a pace as it rolls along. What A Wonderful World, popularised by Louis Armstrong, feels a bit more formalised, the piano keeping strict time through the verse as the guitar improvises. The final tune on the album is 1970s funk band Stuff's arrangement of Love The Stuff/Ain't No Mountain Higher, the latter by Ashton and Simpson (made famous by Marvin Gaye and Tammi Tyrell). Rantala and Wakenius approach it with gusto. 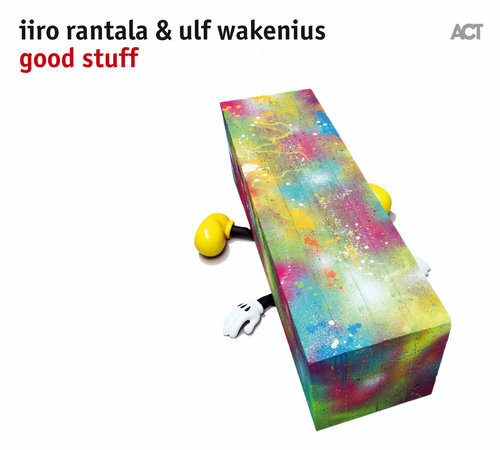 Together, Rantala and Wakenius have produced an album of contrasting styles, at times expressive and sensitive, at others fast, exciting and danceable.